Like his predecessors’ Eastern Europe, Leigh Fermor’s was wild and enchanting, a place of literary fantasy. But he also made sure his version surpassed everyone else’s in adventure and creativity. He camped with Gypsies, rode a horse across Hungary, played bike-polo, rolled in the hay with ruddy peasant girls and replenished his dwindling supplies by freelancing as a portraitist. Even though he started out a simple backpacker, he soon befriended Danubian aristocrats, who assisted his travels by providing him with letters of introduction to their peers down the road. By Leigh Fermor’s own admission, he ended up “strolling from castle to castle, sipping Tokay out of cut-glass goblets and smoking pipes a yard long with archdukes instead of halving gaspers with tramps.” Except for a few clouds gathering on the political horizon—the assassination of Austrian Chancellor Engelbert Dollfuss and the purge of Hitler’s SA rivals during the Night of the Long Knives in the summer of 1934—his journey offered little premonition of the tragedy that was about to unfold. The Danube Valley was still a center of literature and science, a home to hospitable farmers and a vibrant Jewish culture, a place where ethnic and linguistic boundaries easily overlapped. A vast aristocratic network connected each country to its neighbors, and the architectural monuments of Europe—which Leigh Fermor describes in great technical detail, as if to save them from the incendiary bombs of the Luftwaffe and the RAF—were still intact. What makes Leigh Fermor’s descriptions of life along the Danube in the early 1930s so fascinating is not documentary accuracy—George Orwell’s Down and Out in Paris and London is a much stronger sociopolitical book from that same period—but his idiosyncratic, highly stylized approach. In two brilliant volumes published about fifty years after the fateful journey, A Time of Gifts (1977) and Between the Woods and the Water (1986), the much older and more erudite Leigh Fermor exercises with ease his linguistic legerdemain and eidetic memory. (The third volume, which records the last leg of the journey, is eagerly awaited by readers, including the writer of these lines.) Looking back at the lost world of pre-war Europe through an elaborately constructed stereoscope of language, he narrates a gilded, rococo fairy tale. He summons landscapes locked behind the frosted windowpanes of nostalgia: “Imaginary interiors,” he calls them. If travel writing is a form of biography, then Leigh Fermor, along with his late disciple Bruce Chatwin, is one of its best contemporary practitioners. In that sense, the Danube is not Europe’s but Leigh Fermor’s carotid artery. 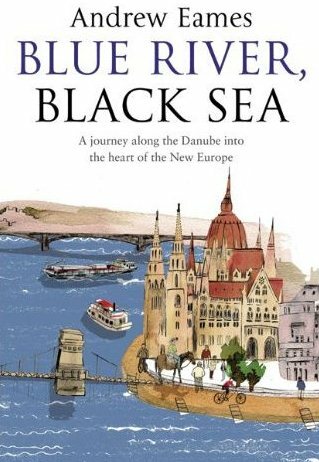 No account of the river could be complete, however, without at least a cursory glance at what may be the definitive encyclopedia on the subject: Danube (1986), by the Italian journalist and scholar Claudio Magris. While not strictly a travelogue, it offers the finest and most exhaustive journey across the history and culture of the region, from early Roman to late Soviet times. Woven out of a series of meditative vignettes and marvelously written, it is a stream fed by numerous sources that freshen the principal narrative along the way. Magris’s Danube is not coiling waters and muddy banks so much as a current of ideas incessantly shaping the intellectual landscape of the continent: geography is intimately connected to history, and the movement through space is also a movement through time. Divisions are less important than continuities, with the river providing the spiritual link between Europe’s diverse communities. Unlike most travelers, Magris does not think in binary categories such as East/West but explores the shared cultural affinities created by art, philosophy and politics. And rather than the exotic blandishments of the foreign, his Danube offers the banal flow of the familiar, all too familiar world of Kafka’s clerks, where nations resemble one another in their passive, theoretical approach to life, saddled by too much history and learning. “The European spirit feeds on books…gnaws at the volumes of history in the libraries or, like moths, eats into ladies’ hats, shawls, and other dainty items of the wardrobe.” A direct heir to the old Habsburg Empire, an empire that preferred to “survive” rather than “live,” the Danubian Europe Magris traversed in the early 1980s was similarly a place of stasis and decay, without a future, existing in “a state of permanent stalemate”: a Europe without qualities. The strength of Magris’s book is also its weakness. When sounding the metaphysical depths of the Danube, describing the grand narratives of history or introducing the ideas of novelists and philosophers, he often forgets that the river is also the home of actual people. With the exception of a few vivid episodes (hunting hares “with a taste for pansies” at Vienna’s Central Cemetery; sailing through the scenic delta), his journey remains more cerebral than visceral. And even though the book was initially subtitled A Sentimental Journey From the Source to the Black Sea, there is little of Laurence Sterne’s interest in human relations and sympathy for fellow travelers. Magris’s Danube remains an abstraction in a dry riverbed. A drink from the fountain of knowledge is a good thing, but it rarely satisfies the reader’s thirst. Eames, the author of an acclaimed travelogue, The 8:55 to Baghdad, admits that before embarking on his new adventure he had only the vaguest of notions of the “European Amazon.” “For many years,” he remarks, “Thailand was far more interesting than Transylvania, and destinations right under our noses, part of our own continent, remained far more foreign to us than many places halfway round the globe.” All that changed with the territorial expansion of the European Union. With the flood of Eastern Europeans into Britain “to do our plumbing and loft conversions,” there was no longer any way to avoid looking at the other Europe. Eames comes to his material with typical Anglo-centric prejudice—us versus them—but he seems to be doing so with an awareness of his limited point of view. Thus, the trip down the Danube becomes an ablution from ignorance. Or is his innocent curiosity for the native lands of the Immigrants, like that of Michael Quin and William Beattie, another means to reassert his cultural authority by inventing “the New Europe”? When the Berlin Wall came down, he recalls, “the West started to wrap its warm hands around the chilly East.” It is an unfortunate metaphor, for it dimly suggests strangulation. Nothing is what it seems, however. Europe has changed dramatically, including the river itself. Heavily canalized, with only 30 percent of it free-flowing, it has lost 80 percent of its original flood plain. “From having been a reedy, marshy, wandering, wonderful, amorphous living thing, it has been rendered into straight lines, made far less interesting, and more dangerous, by the hand of man.” Scarred by hydroelectric dams, irrigation canals and industrial pollution, the Danube has become more a creature of engineering than a wonder of nature. Eames’s interest in the environmental plight of the river is fleeting: he could have expounded on the topic a bit more, but he chooses instead to look at more traditional travel subjects. The square Danubian aristocracy has its hipper sides as well. A great admirer of Patrick Leigh Fermor, Eames, in emulation, decides to pay a few visits to the castles down the road and check out how the blue bloods are faring. In the German town of Sigmaringen he secures an audience with Prince Karl-Friedrich von Hohenzollern (the House of Hohenzollern is one of Europe’s oldest and most respected). Running a steel factory, a ski resort and an investment company for business start-ups, Karl-Friedrich is the good old bourgeois capitalist, far more interested in prices than princesses or cut-glass goblets. As Eames observes, “I had the distinct feeling that he would be happier discussing the state of the Dow Jones index than the life and times of the German aristocracy.” The surprises don’t end there. On his way out, Eames receives a parting gift: a CD of the jazz band Charly and the Jivemates. On the cover, center stage, wearing snakeskin shoes and a leopardskin jacket, is Charly, aka Prince Karl-Friedrich von Hohenzollern. Eames dedicates a great part of his book to the lot of the present-day Danubian nobility—there are whole chapters recounting dinners with archdukes and interviews with royal pretenders—but his gawking fascination with the upper classes soon starts to wear on the reader’s patience. Tracing Leigh Fermor’s footsteps might have seemed like a good idea for a while, but every tribute holds a trap. To put it bluntly, in the twenty-first century nobody gives a brass farthing for the aristocracy. Its members may still parade across the front pages of tabloids, but their lives are happily irrelevant today, despite all the hereditary wealth and eroticized glamour. If one is to discover “the heart of New Europe,” one has to look elsewhere. And even though Eames crosses paths with a lumpen crowd during his stay in Vienna (the graffiti artists in the underpasses; the Turkish break dancers by St. Stephen’s Cathedral; the “fractured families Skypeing each other in a babel of voices and languages” in seedy Internet cafes), he is too preoccupied with his literary pilgrimage and far too removed from youth and immigrant cultures to make sense of the new world he is inhabiting. The main strength of Leigh Fermor’s work is its freewheeling, uncharted nature, taking life as it comes; Eames, for all his desire to imitate his predecessor, just won’t let himself go. Upon entering what were once the westernmost feeding grounds of the Soviet leviathan, Slovakia and Hungary, Eames loses the last of his cultural moorings. With no knowledge of the local languages and with only the flimsiest grasp of the region’s history and customs (he is certainly no Claudio Magris), he appears pretty lost. From all the varieties of worldly experience Budapest offers, he chooses some flashy downtown cafes and the company of English-speaking aristocrats, who fill him in on the horrors of communism. Based on such brief encounters and perhaps a few historical overviews, Eames attempts to reconstruct a picture of what life must have been like behind the Iron Curtain but then fails to move beyond the clichés that demonize the former regimes as supreme evil. For all its blood-spattered sins, communism in Eastern Europe was hardly Miltonic: it was a drab, mediocre, secondhand dictatorship. After a rather tedious horseback ride across the Great Hungarian Plain—again in emulation of Leigh Fermor, but now under the guidance of a tourist agency—the journey finally takes a more intimate turn. In Serbian “cowboy country,” Eames travels on a barge carrying a cargo of china clay down the Danube. The Argo, with its charismatic and colorful three-person crew of former Yugoslavs, is a smaller version of Melville’s Pequod. It also offers an optimistic view of a place ravaged by so many wars in the 1990s. “You write this in your book, Mr. Andrew,” the captain instructs the author, “Me, Captain Attila, a Hungarian Serb, first mate Vlado, a Serb Serb, and engineer Ivica, a Croatian. Hungarian, Serb, Croatian work together no problem. One happy family, see?” Sailing with a local crew, just another deckhand among them, Eames gets to know their quirks, their opinions, their lives. As it happens, upon a closer examination, political allegiances are still unwavering, and memories still raw. Passing by Vukovar, the first city racked by the Yugoslav conflicts, Eames makes the following observation: “All three crew of the Argo—the Serb, the Croat and the Hungarian—were in the bridge as we came abreast of the ruin [of the church], and they deliberately avoided looking at it or commenting on it, gazing downriver instead.” It is an important moment because, despite all the official pan-European optimism, it shows that the ghosts of the continent are still stirring, and one needs only to take a trip down the Danube to hear them howl. But this landscape of primal, bucolic charm is being altered by forces more modern and less benign. A Canadian mining company is hoping to use dangerous cyanide technologies to extract gold. A nearby river has become “a conveyor-belt of used packaging” tossed aside by reckless picnickers. Everywhere, underneath the delightful surface of things, lurks environmental devastation. Once the most backward and inaccessible of all the Eastern European states, along with Bulgaria, Romania has climbed out into the open; and while the political system may have democratized, helter-skelter market liberalization and a culture of unbridled consumption have also destroyed the sense of shared (natural) space and community upon which every democratic system depends. “The net result was a local ecological disaster,” Eames writes. “The litter-lined river became an emblem of Romania’s new freedom and its new purchasing power: ‘I am free, therefore I choose to throw my empty can of Carlsberg into the Somesul Rece.’ And who was I to criticize? The likes of my country, after all, were the ones who persuaded them to buy the cans of Carlsberg in the first place.” These are some of the strongest pages in the book because they resist easy slogans and show the other, dirtier heart of the continent, often ignored by official histories. The great changes of 1989 might have brought freedom to the people of Eastern Europe, Eames suggests, but it has been the freedom that comes from the sudden bursting of a dam wall, the waters inundating everything on their way downstream. There is a reason people still follow radio bulletins on the water levels of the Danube. At the very end of his travels, gazing upon the Danube’s delta from the Romanian town of Sulina, Eames muses, “When does a journey like this finally end?” Then, with a bit of melancholy, he provides the answer to his question: “I’d come to a stop at sullen Sulina simply because there was nowhere further to go.” In 2010 the countries from the Black Forest to the Black Sea have been reunited under the banner of capitalism, but it seems that even this New Europe has limits. Despite its numerous flaws, Blue River, Black Sea finally does what every decent travelogue must do: it tells a true story that nobody believes is true. “linguistic legerdemain and eidetic memory”? In spite of the unsecure vocabularistic exhibitionism and painful writing-class habit of sticking an adjective -preferably an demonstratively obscure and exotic one – onto every possible word, this is a very enjoyable and readable piece in itself.